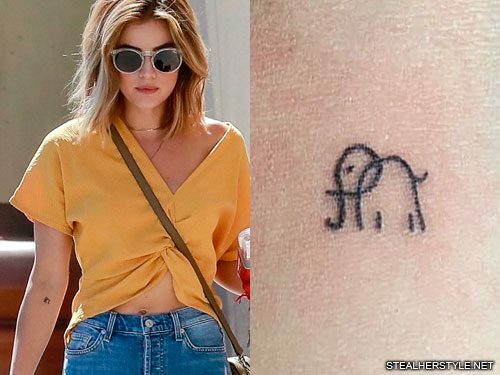 Lucy Hale and her five fellow “liars” on the TV show Pretty Little Liars all got matching tattoos after they finished filing the final episode on October 28th 2016. 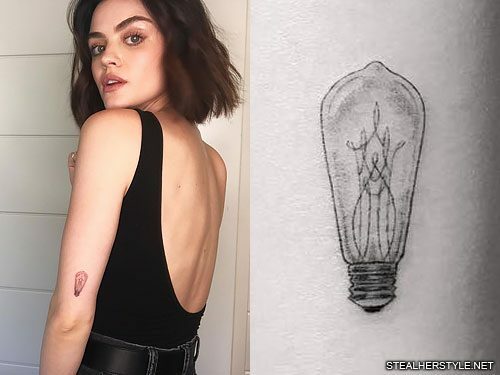 Each girl got the first initial of the character placed on their index finger because of the shush in the opening credits, which was done exclusively by Lucy until the final season, where all of the girls took turns. 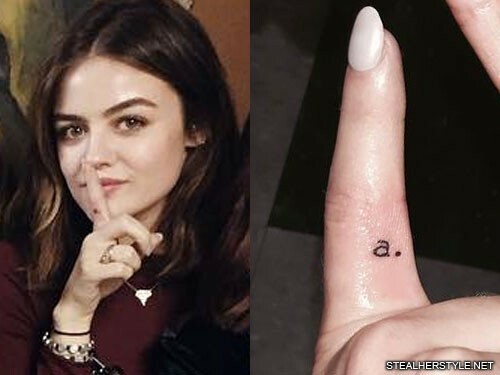 Lucy’s tattoo is an “a.” for Aria Montgomery. 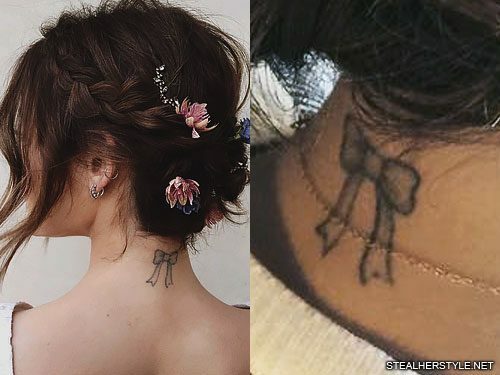 Lucy Hale’s very first tattoo was a ribbon bow on the back of neck. 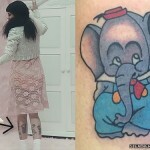 She got the cutesy design inked by Shamrock Social Club artist Dr. 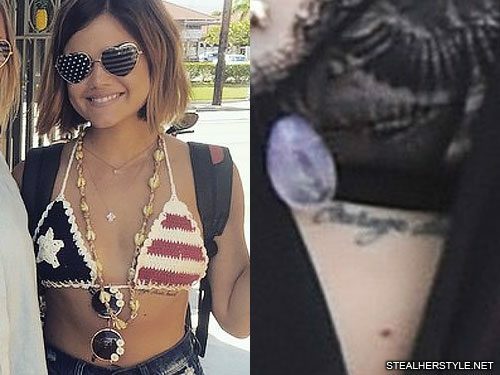 Woo before he became one of the most in-demand tattooists in Los Angeles, and she continues to be a fan of his work. My most maniac moment was when I was 19 and I got my tattoo. 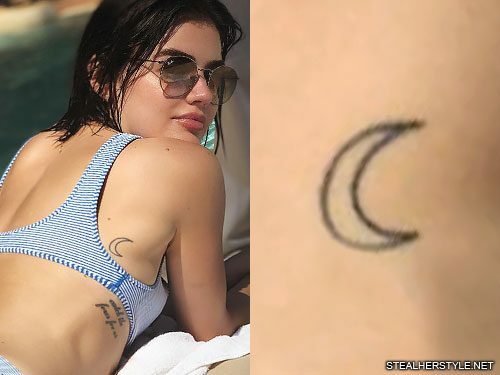 It’s on the back of my neck. It’s a bow. Luckily I still like it. 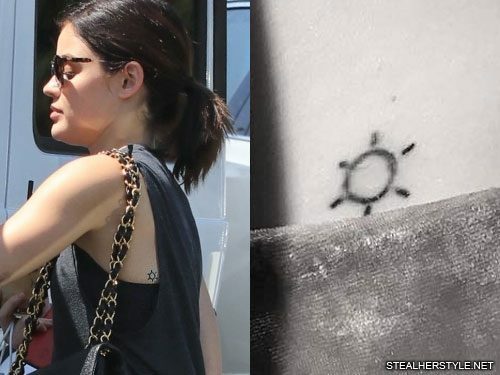 I got it after a break up and I wanted to do something rebellious, which is a kind of out of the norm for me.